Visiting Vancouver or planning to at some point? 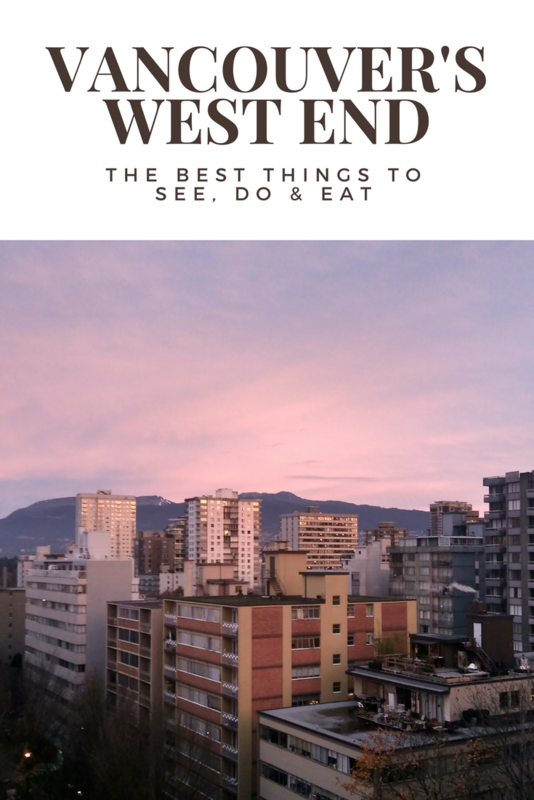 Make sure you don’t miss out on the chance to explore Vancouver’s West End. 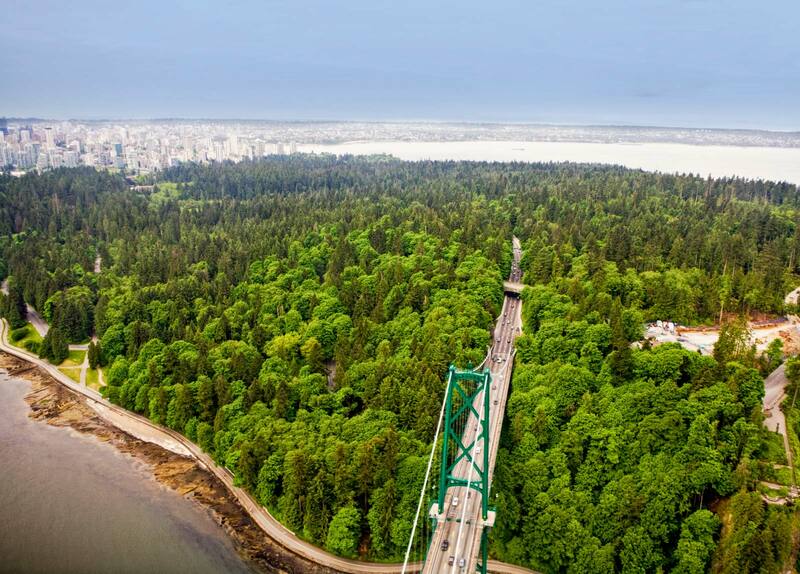 It’s my favourite part of the city and sure, I may be biased since it’s where I live, but it’s got a chilled out vibe, there is SO much greenery, there are beaches and it’s home to Stanley Park. I mean, what’s not to love? 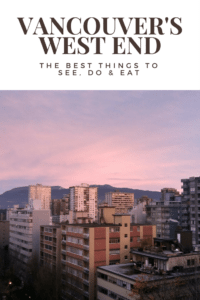 But it’s not all about the parks and beaches, there are even more things to do in Vancouver’s West End than you’d first think. 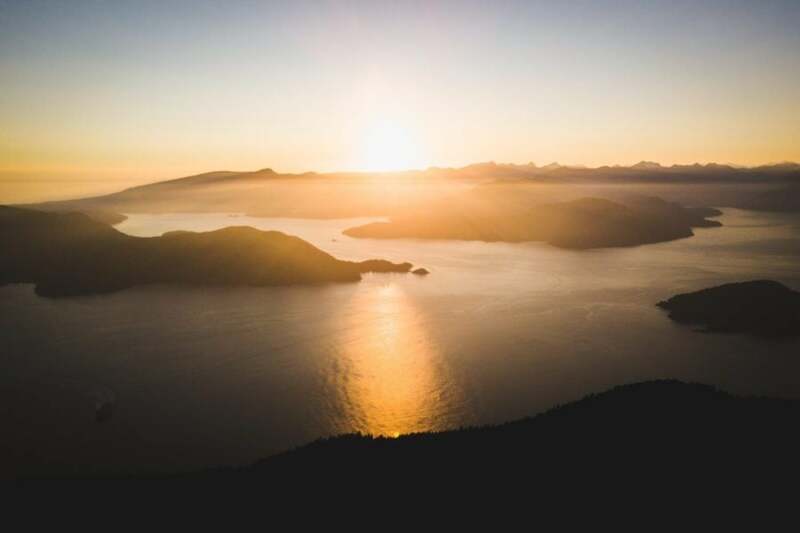 Head to Cactus Club Cafe for ‘Appy Hour and sunset views! 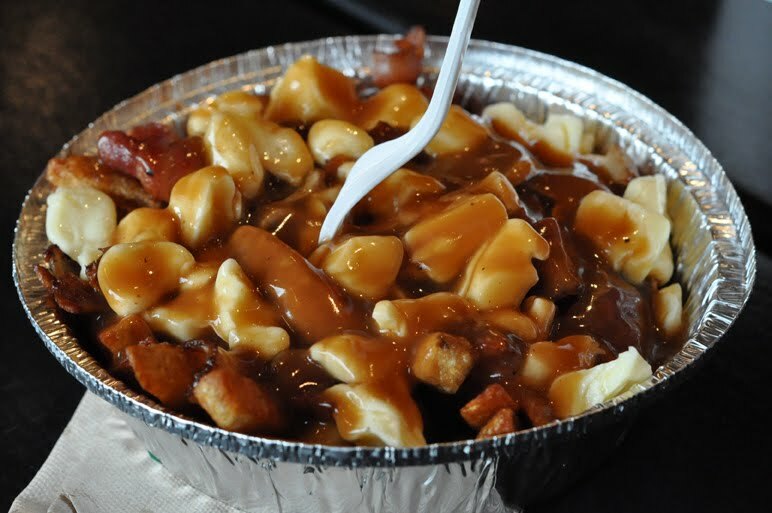 If you want to find out more about poutine check out this post. One of the (many) reasons I love the West End so much is that there are some incredible beaches! There’s Sunset Beach which, yes, really does have incredible sunsets. There’s English Bay, Second Beach and Third Beach. They’re all sandy and gorgeous. You’ll find driftwood benches, beach volley ball games, and even a waterslide at sunset beach in the summer! Personally Third Beach and Sunset Beach are my favourites as they tend to stay a little bit quieter than the other two during summer. 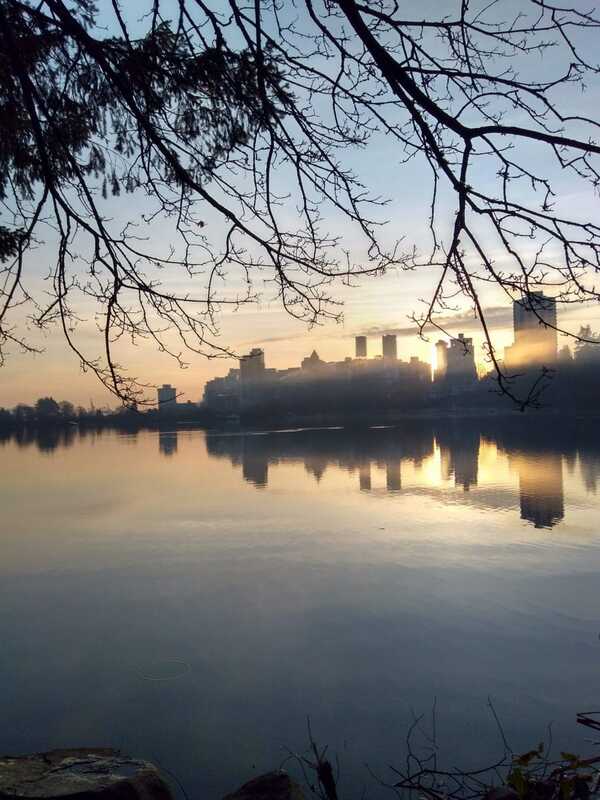 I feel like a lot of people miss the Lost Lagoon when they explore Stanley Park. To see the Lost Lagoon you have to leave the seawall but it’s not far away from Second Beach. You can walk the entire way around the lagoon and it’s absolutely gorgeous at sunrise. Keep your eyes peeled for wildlife, I saw a beaver eating a ginormous fish one morning! 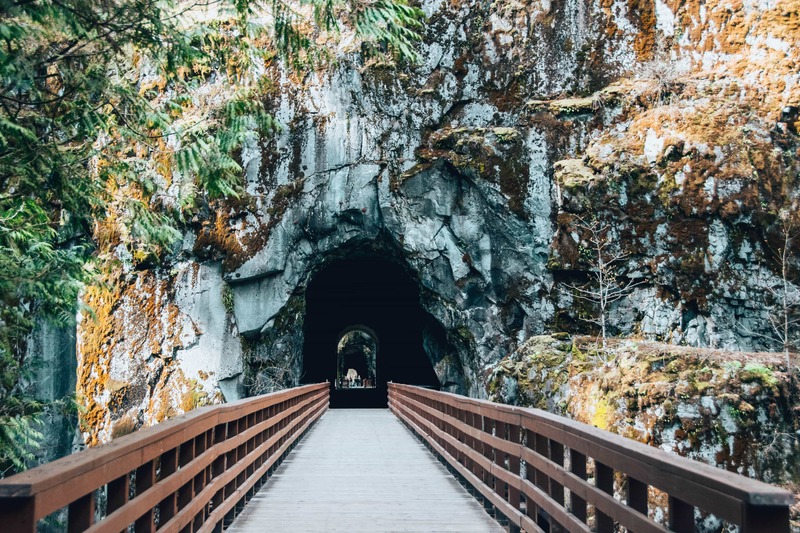 You can’t visit Vancouver without exploring Stanley Park. 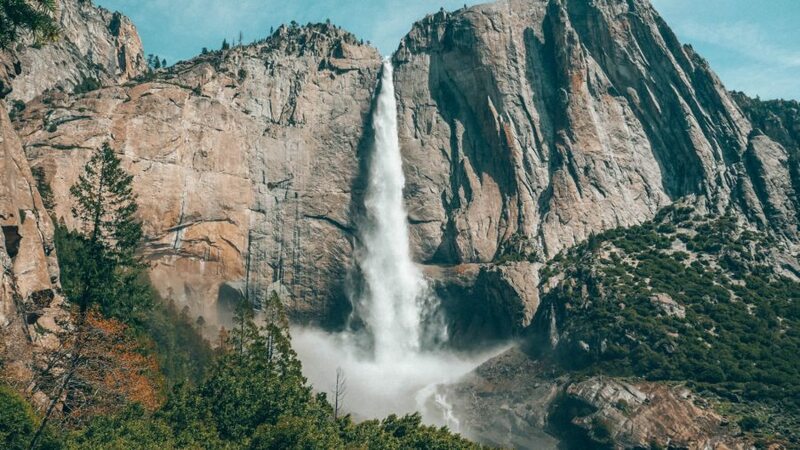 However you see it – on foot or bike, running or walking – it doesn’t matter. 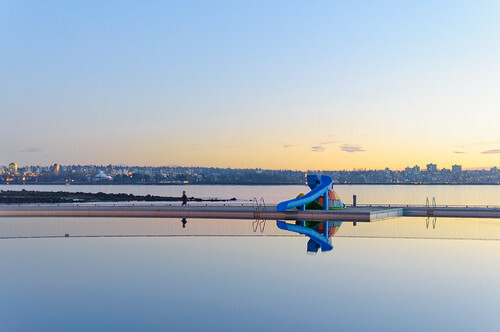 Do one lap where you walk around the seawall past the beaches, pineapple rock, the Lady in a Wetsuit statue (Vancouver’s version of Copenhagen’s mermaid statue), and past the totem poles. Then, do another where you head into the park and see the Lost Lagoon, the aquarium and the gardens. It’s amazing having this park so close to the city! 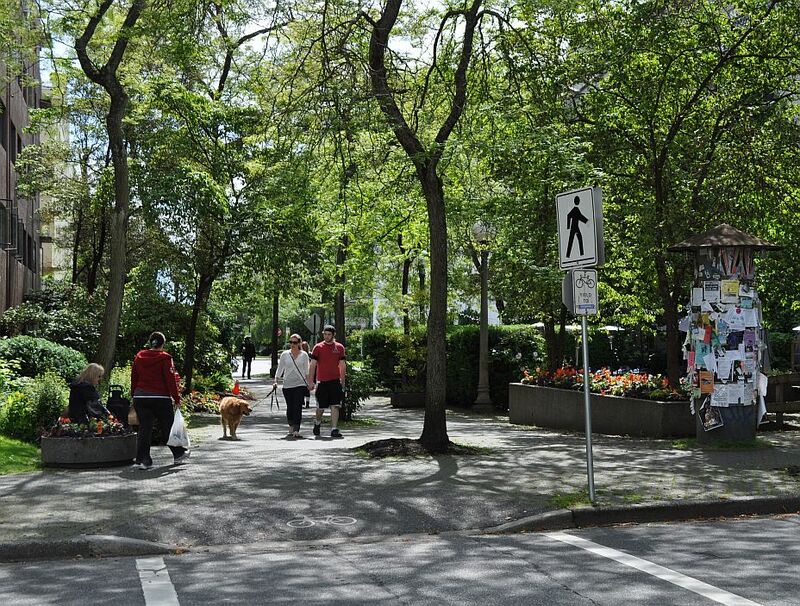 Denman Street, often affectionately referred to as the Gay-bourhood, is a great place to celebrate. There are several bars along the Davie Street where you can grab a drink with the locals. Head to Score on Davie for some incredible cocktails that are a meal and a drink all in one! The Blind Sparrow on Denman Street is a very cool type of pub. They have 12 rotating taps of locally brewed beer to work your way through and there’s some tasty food too for when you get hungry! One of my favourite things to do in the West End is to just wander the streets with a coffee or a tea. 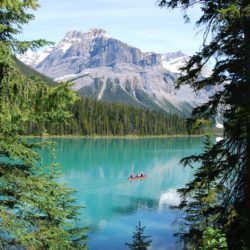 The streets in the West End are lined with trees, you’ll probably see people packing their cars with tents and camping gear (summer) or skis and snowboards (winter). On some streets you’ll see tree stumps where someone has painted a little tiny door on the bottom. Oh and there are little book swaps along the streets too. Plus some of the houses are beautiful! Ah, I love it! There are tonnes of cafes in Vancouver’s West End but two of my favourites are the ones that aren’t on the main streets. Greenhorn on Nicola Street, and Cardero Bodega on Cardero Street not only serve great coffee but do some tasty food too. 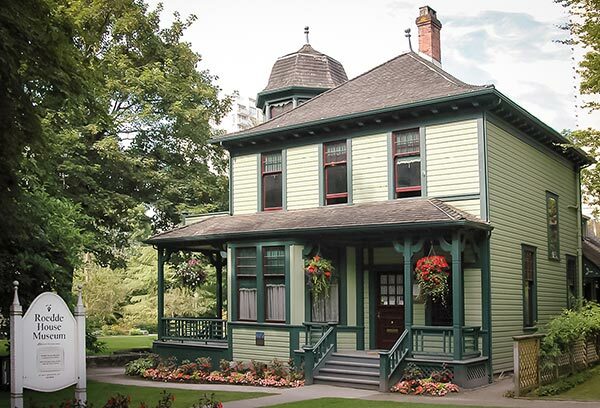 The Roedde House Museum has to be one of the smallest museums in Vancouver. The museum is housed in the Roedde family’s home. 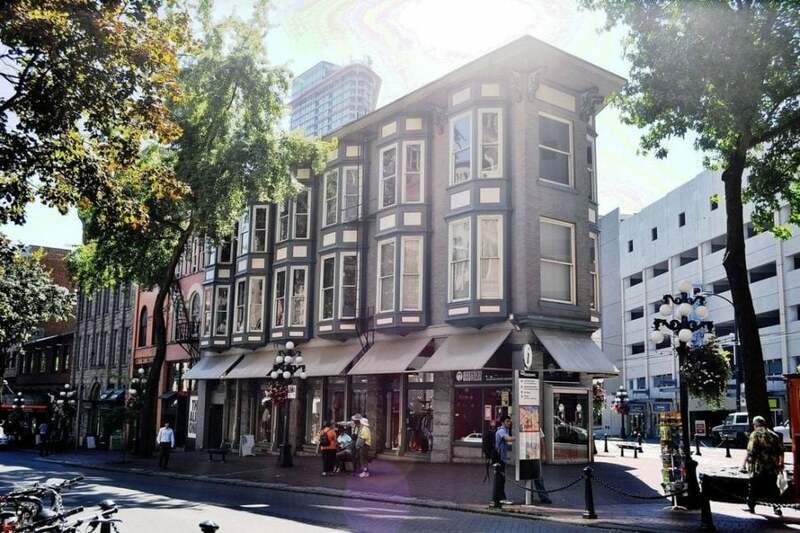 Gustav Roedde was Vancouver’s first bookbinder and was successful enough to build a house in the West End in 1893: the Roedde House Museum. There’s also a little park outside which is nice to sit in during summer. 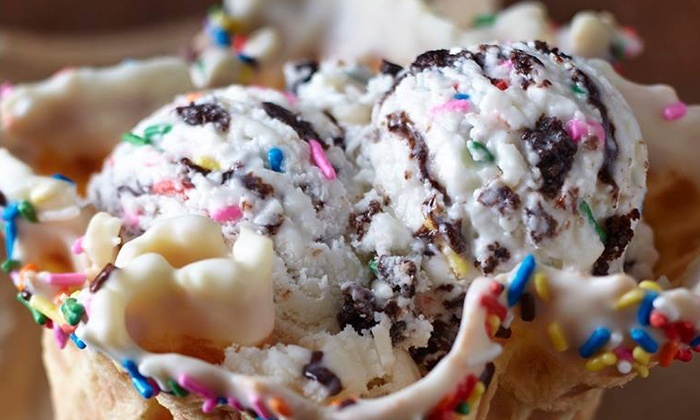 Denman Street has some great places to get ice cream. 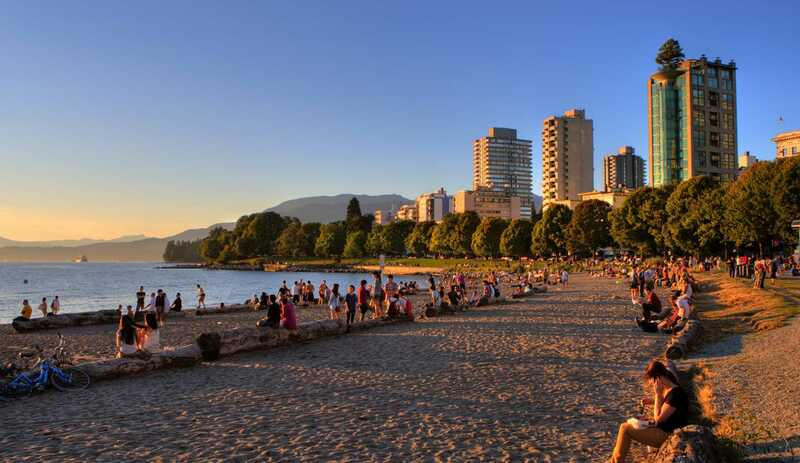 Plus, it’s super close to English Bay so you can grab an ice cream and walk along the beach with it! Everyone raves about Marble Slab and they do do some very interesting flavours. But, if it’s real Italian ice creams you’re after then head slightly further up the road to D’oro Gelato & Caffè for creamy ice cream you’ll love! Delaney’s Coffee House is always buzzing and their muffins are delicious! 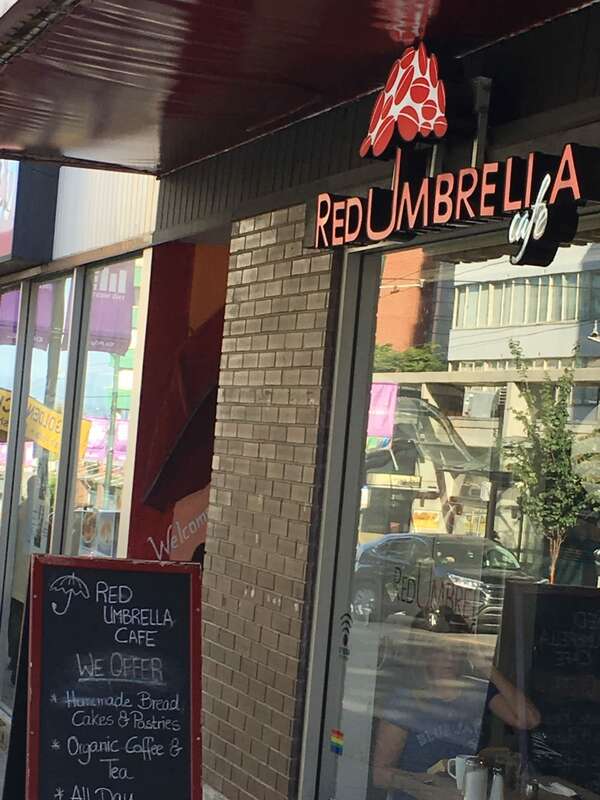 Grab a blueberry muffin with your coffee and watch the hustle and bustle on Denman Street in the morning. Love chocolate? CACAO 70 Eatery is a chocolate restaurant when you can get all kinds of chocolate-ly goodness. They also do non-chocolate brunches! Cactus Club Cafe in Vancouver’s West End has one of the BEST views of any restaurant in all of Vancouver. The dining room goes right on to the beach and if you visit during happy hour in the winter you’ll be there for sunset AND cheap food and drink! These statues are guaranteed to put a smile on your face. 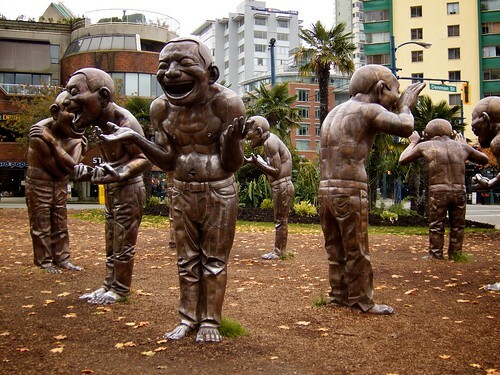 These 14 cast bronze statues are all laughing and pulling faces and they’re great fun to take pictures with. 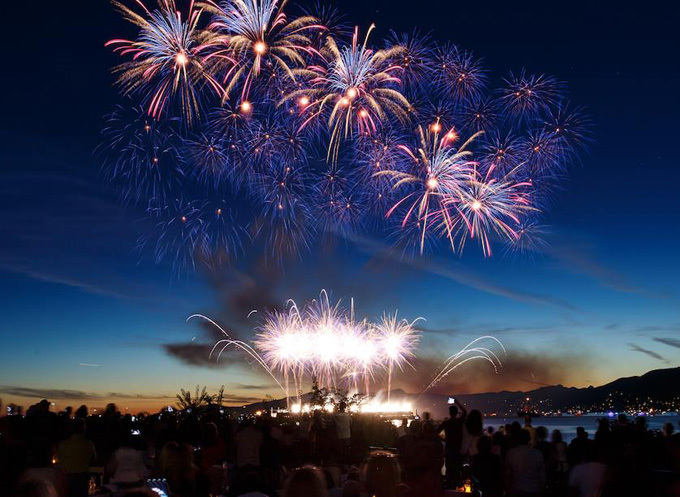 If you’re in Vancouver in July then don’t miss out on the International Fireworks Festival on English Bay. The firework festival is free to attend and happens over three nights as three countries put on a display as part of the competition. The displays are set to music and last for about 30 minutes so they’re pretty spectacular! Top tip: Watch the fireworks from Sunset Beach where there tend to be less people and see if you can stand near someone with a speaker so that you can still hear the music! If you don’t want to swim in the sea then opt for the outdoor pool at Second Beach. It’s open from May to September and, you’ll be pleased to know, it’s heated! Denman Street is full of great ramen restaurants! You’ll see queues outside a lot of them and the best part is that they’re quite cheap too! 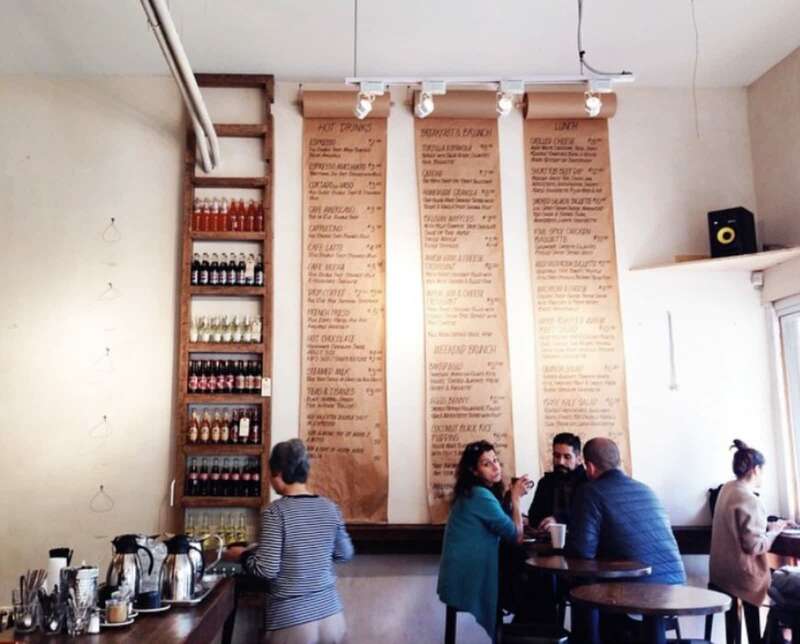 Getting ramen here should definitely be on your list of things to do in Vancouver’s West End! Try Guu Kobachi, Motomachi Shokudo and Kintaro. If they’re busy you can also head on to Robson Street for even more options! Vancouver is such a bike friendly city! 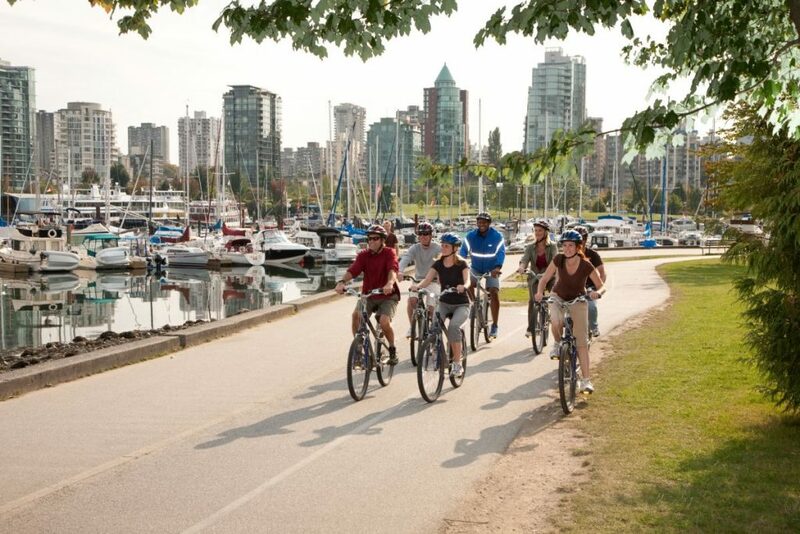 There are bike lanes all over the city and Stanley Park is, arguably, best explored by bike. Towards the northern end of Denman Street there are several places to hire bikes, tandems and also rollerblades! Every visitor to Canada should eat poutine! This dish is traditionally made up of chips, gravy and cheese curds but you can also get loads more toppings! La Belle Patate is an unassuming place on Davie Street in Vancouver’s West End but they sure know how to make poutine! Whilst I’m yet to go here, Thom has been several times and always reports back that he’s had a great breakfast. There’s usually a bit of a wait for a table at the weekend but their big traditional breakfasts are worth waiting a little while!